I spent 3 days in Rijeka. I can’t say I know the city through and through. But I have certainly fallen in love with it. Rijeka’s biggest charm is the journey it takes to get to know it. It’s almost like going on a quest. Very little is obvious in a touristy kind of way. And then again, everything is that much more exciting. Like deciphering a secret code to win a game. Once you do it, the winning feeling is exceptional. Rijeka has always been a place where people live, not where they travel for leisure. Still, it’s one of the most cosmopolitan cities in this part of Europe. 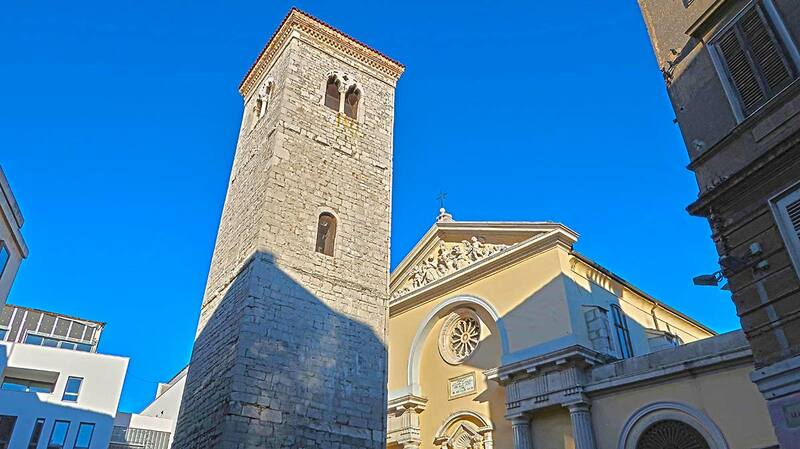 Over centuries, this principal Adriatic port has attracted foreign investors, experts and intelligentsia. And as a cradle of innovations, such as the first torpedo, Rijeka has secured a special place on the map of the world. You can best experience this diversity when you meet the locals. Ask them about their ancestors and they’ll mention a grandma who survived 6 different regimes. Austro Hungary, Italy, Yugoslavia, to name a few, who all fought to keep Rijeka theirs. The city’s architecture is evidence of these struggles. 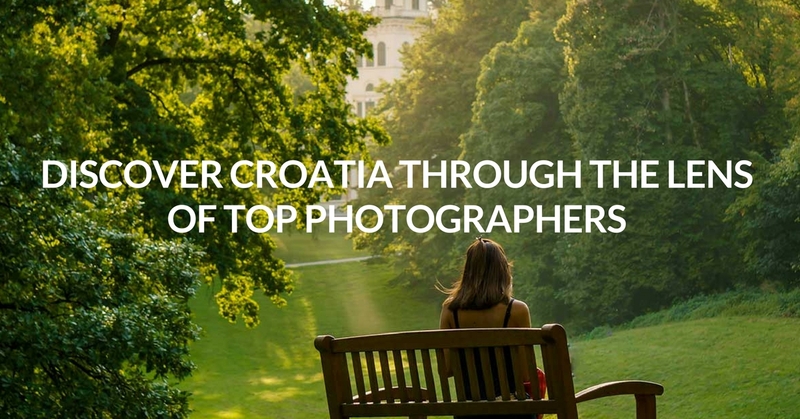 The medieval Trsat Castle, the Art Nouveau palaces, the stunning industrial complexes. All witnessing that Rijeka is a jewel of the Adriatic that everyone wanted in their crown. And as you walk its streets, along its river and the seafront, you’ll feel like an archeologist unearthing precious artefacts. The history oozes from each crack. But there is another vibe on top of it all. A sense of the great future to come. A stir in the air. Because Rijeka is on the cusp of becoming a cultural hot spot. Attracting thousands of smart travellers who love a sense of adventure and openness. After all, Rijeka is the official 2020 European Capital of Culture (ECC). So many exciting cultural programs are in the pipeline. But don’t wait that long. 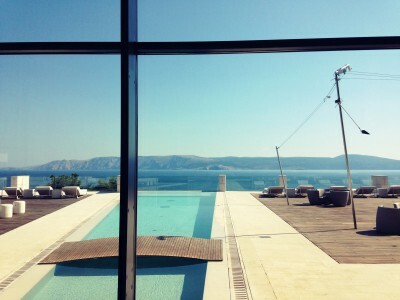 You can get your Rijeka fix even if you visit today. Here are the top 10 attractions that made me fall in love with the city. Rijeka’s official nickname is the city that flows. The element of water runs through its geography and the locals’ state of mind. 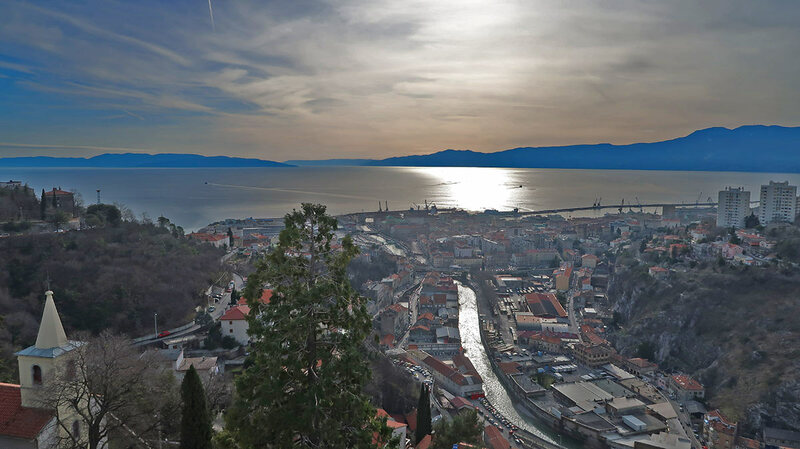 In Croatian Rijeka means a river, and so does in its Italian version of the name Fiume. 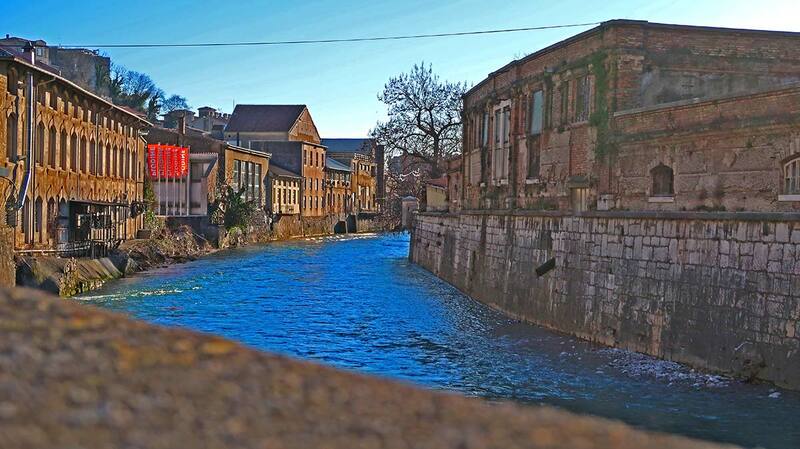 The small river Rječina [big river – I love this irony] flows through the city centre and into the sea. As with all natural borders, riverbeds can either divide or unite. Or both since their only mission is to be in a flux. Rječina in Rijeka has done exactly that. It divided the city in half between Italy and Yugoslavia. Until 1947 when the Croatian side (Sušak) and the Italian side (Fiume) united under Tito. So what was once a political border along the Dead Canal, is the spot that now keeps the city together. There’s a commemorative plaque to remind people of this past. 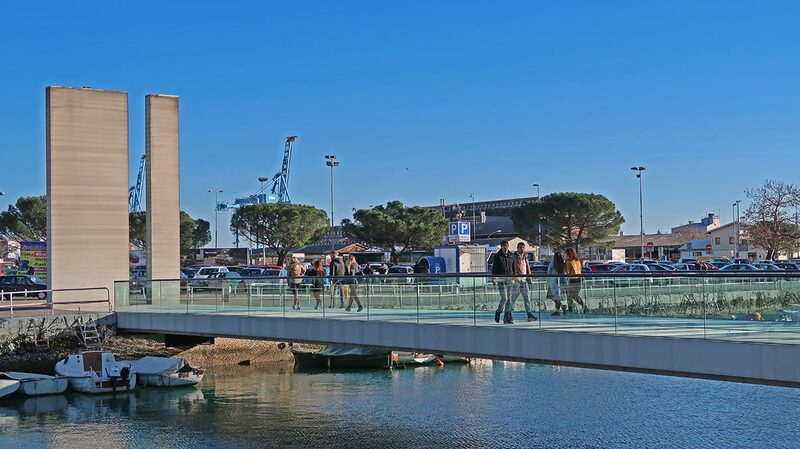 And the brand new pedestrian Bridge of Croatian Defenders to honour the more recent one. 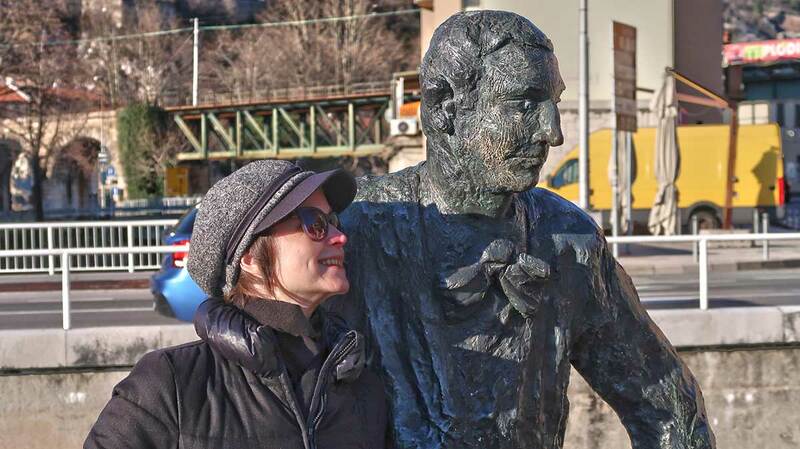 Right on the former border is the statue of Janko Polić Kamov, one of Croatia’s most prominent writers. Rijeka has produced many avant-garde thinkers, innovators and alternative artists. But Kamov is the epitome of this free-spirited buzz. He was only 24 when he died in Barcelona. But with his fiery language and fierce social critique, Kamov ushered in Croatian avant-garde. He died much too soon and without knowing how his work would influence literature as a whole. In many ways, he was the forerunner of the world’s best writers such as Lawrence, Joyce and Proust. There is something special about speaking foreign languages. And people often say that the more multilingual you are, the broader your mentality is. Ask a Rijeka local how many languages their grandparents spoke. No matter how educated they were, 100 years ago most Rijeka people spoke 4 languages. German, Hungarian, Italian and Croatian. Border lands between large empires are often multicultural and open-minded societies. On top of that, Rijeka was declared a free port in 1719, which helped the city’s economy to flourish. During the Austro Hungarian Empire, Rijeka was Hungary’s port and Trieste Austria’s. The dual monarchy made sure that both cities developed equally. People flowed in and out, mixing their world views and cultural backgrounds. This vibrancy remains to this day. The free movement of people and ideas made Rijeka into a leading innovative city. 150 years ago, this is where the world’s first torpedo was invented and produced. The weapon was designed by the Croatian navy officer Giovanni Luppis. His initial idea was to protect the coast with small boats laden with explosives. The concept was so revolutionary it immediately attracted the attention of Robert Whitehead. This English engineer based in Rijeka would perfect the first self-propelled torpedo. This was a weapon of utmost importance in the WW1. Torpedo was later manufactured in Woolwich in the UK. But the launch ramp where it was first tested still stands in Rijeka. Though torpedo’s main purpose was military, works on its design produced more inventions. Like contra-rotating propellers and the use of a gyroscope. 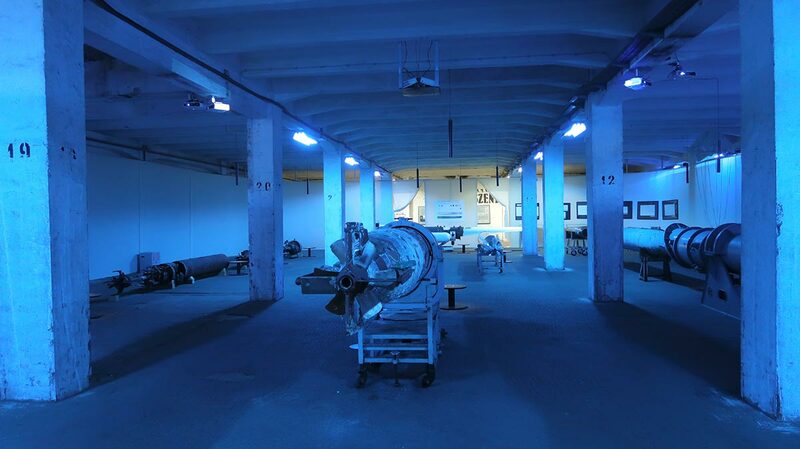 You can learn about this intriguing history at the exhibition: Torpedo of Rijeka – First in the World. The exhibition, which officially opens on 1 April, features fantastic examples of torpedoes. From models to the real historic specimens. There is hardly a Rijeka local whose livelihood is not connected to the sea. Ship builders, fishermen and sea farers all thrive on deep and shallow waters. During the time of Yugoslavia, Rijeka was the biggest ship building port. The industry has suffered a dive in the last 20 years, but is now on the road to recovery. The seafarers of Rijeka are special too. Many of them sailed on the Carpathia – the ship that steamed through dangerous ice waters to come to the Titanic’s rescue. They saved 705 Titanic passengers from drowning. You can see the original Titanic life jacket in Rijeka’s Maritime and History Museum. 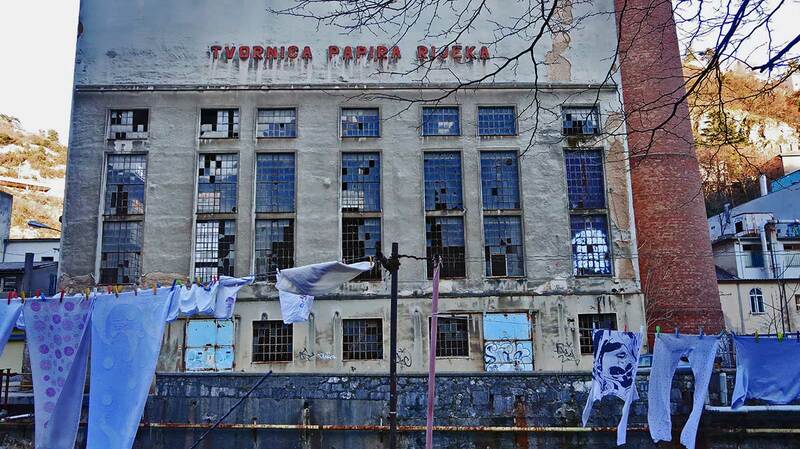 In the second half of the 19th, Rijeka began it’s rise as an industrial centre. A long coastal stretch, once the city’s outskirts, boasts a stunning industrial architecture. Unlike many Western cities, Rijeka has yet to fully embrace this potential. Seeing those emptied out and derelict industrial complexes is bitter sweet. First it’s sad to see these giants deserted. Then comes curiosity as you spot some of the weirdest juxtapositions of the old and the new. Like the clothes drying in front of Hartera – the factory which supplied the world with its cigarette paper. Then you are struck with all the potential. Hartera could be the next Tate Modern. Warehouses could become showrooms or apartments, like those in London, Brooklyn or Hamburg. The city is not short of plans for all of this. But there is something quite special about seeing the industrial Rijeka as it right now. Suspended in time, waiting its next big purpose. There is a good reason to climb almost 600 steps uphill from Rijeka’s centre. The medieval Trsat Castle offers a breathtaking view which you can enjoy as you sip on a drink. 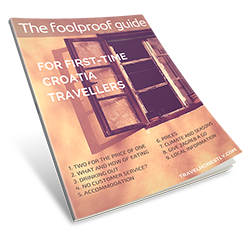 Close by is the famous Shrine of Our Lady of Trsat. This wonderful Baroque church attracts thousands of Catholics on the Assumption day (15 August). According to the legend, angles brought Mary’s Nazareth house to Trsat. But after it appeared here in the 13th century, it was taken to Loreto in Italy where it still stands. The steep Trsat staircase was originally made for pilgrims. But Catholic or not, once you reach the peak, you won’t be short of inspiration. Only slightly short of breath! Rijeka is at its most energetic during the international Rijeka Carnival parade. This colourful all-out feast may be a younger sibling of the Venice and Rio Carnivals. But this year the event attracted more than 100,000 people from around the world. 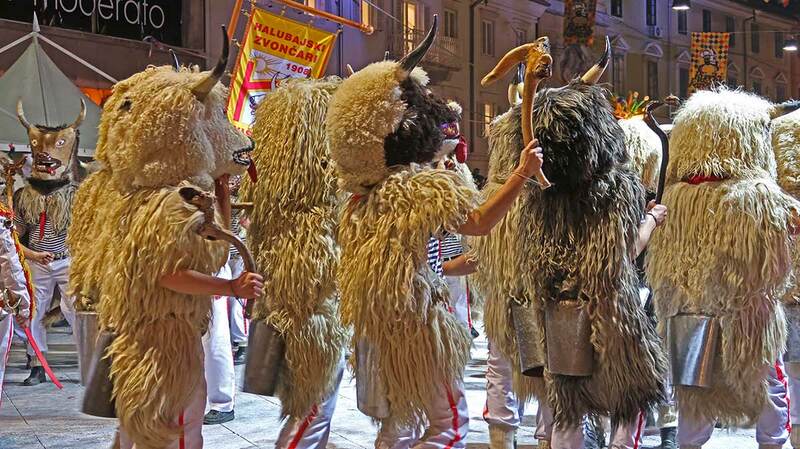 Masked spring celebrations here have a long history, dating back to pre-Christian times. 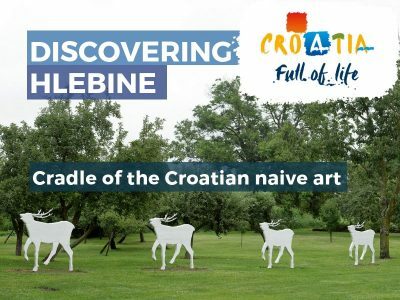 You only need to hear the hypnotic bell tolling of Halubajski Zvončari to sense that antiquity. Zvončari (tollers) make a loud noise with their bells to chase away the winter. Wearing sheepskin and stylized animal masks with horns, they invoke the fertile spring awakening. But it’s not only at the Carnival Parade that they toll. 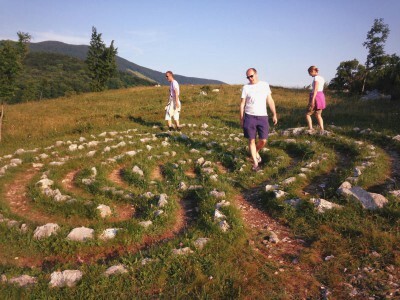 These tireless men visit villages in Rijeka surroundings for 8 weeks before. This prehistoric custom is on the UNESCO list of intangible cultural heritage. 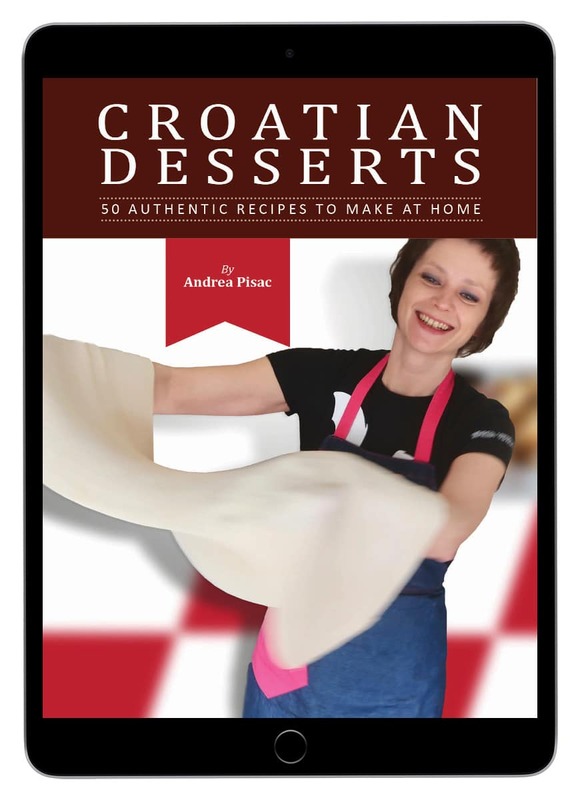 Many people are surprised to find how diverse Croatian cuisine is. One of the common divides is between the continental and Mediterranean style dishes. 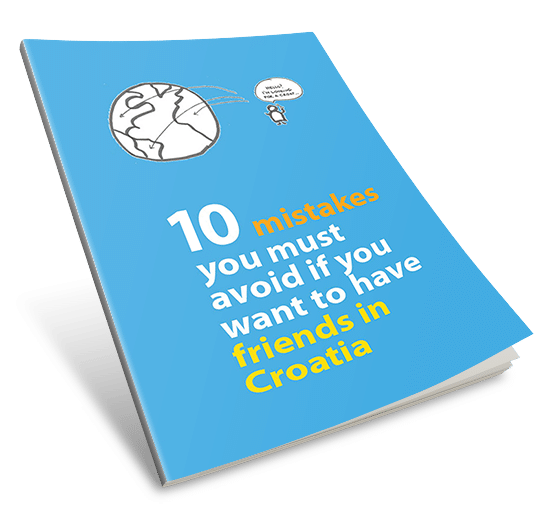 But in Rijeka, you don’t have to make that choice. Food here, just like in Istria, is a rich fusion between earthy and light flavours. Homemade pasta comes served both with seafood and meat stews. And veggies can be both steamed or part of hearty soups. 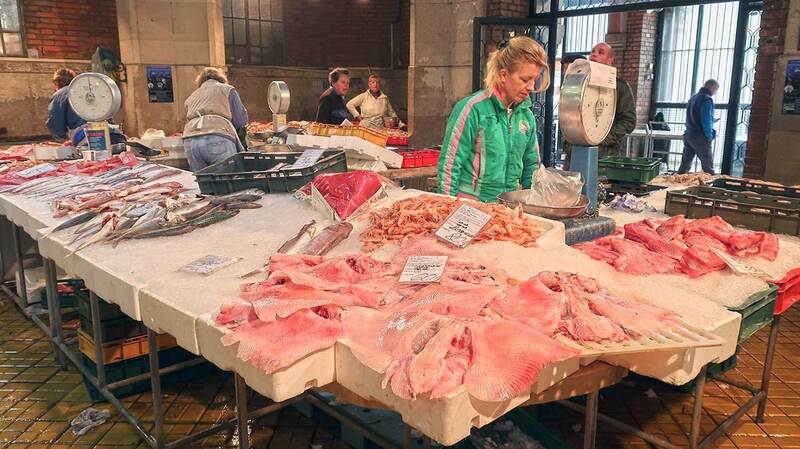 To open up your appetite, you simply must visit the Rijeka farmers’ and fish market. Housed in a gorgeous Art Deco building, the place teems with all things fresh. And come midday, you can taste what you saw in a nearby konoba [tavern]. Don’t miss this early meal of the day called marenda. Go straight to either konoba Fiume or konoba Volta. Everywhere I walked in Rijeka, I uncovered a little something that made me sigh with wonder. But Rijeka locals don’t brag enough about their city. They are unpretentious and used to being surrounded with so much history. Often they don’t even realize how crazy foreigners would go for some of those hidden gems. Like for example the Peace Ship Galeb, parked right there in Rijeka port. 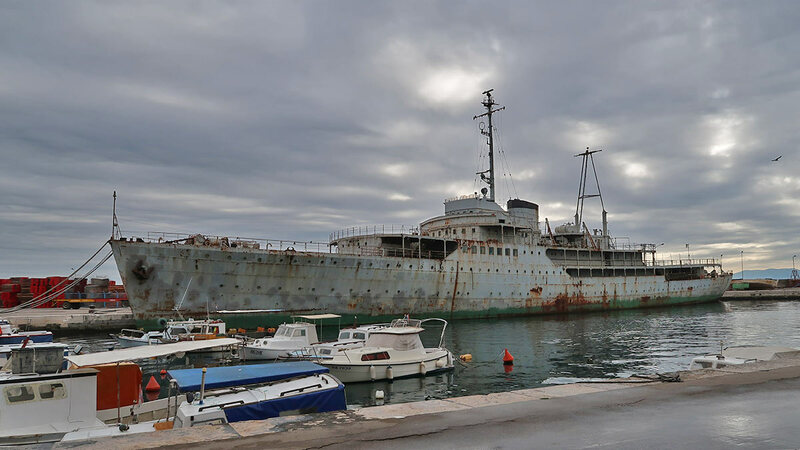 This Yugoslav Navy training ship was Tito’s official yacht for 27 years. It sailed more than 86,000 nautical miles and welcomed 102 world statesmen. For now, you can only admire it from outside. 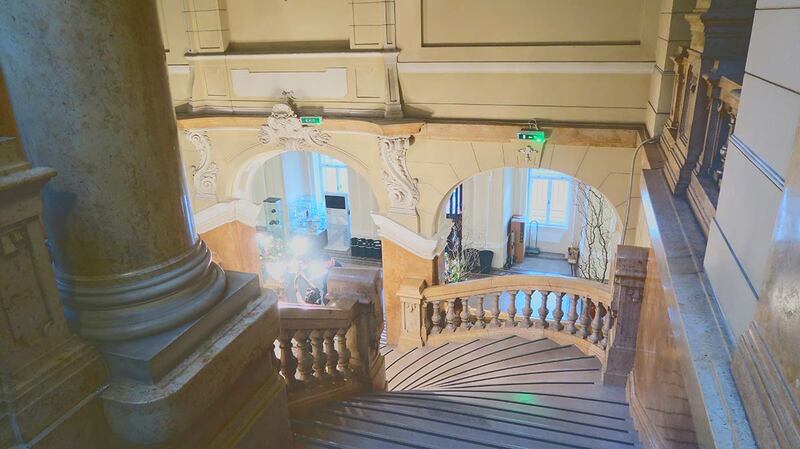 But soon, as Rijeka prepares to become the European Capital of Culture, Galeb too will get a new lease of life. Maybe as a museum, or something else cool. Rijeka will decide and it won’t disappoint. 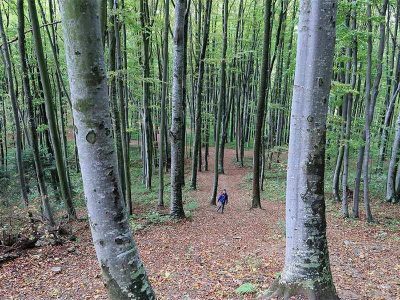 So hurry to Rijeka – the city is coming into full bloom! 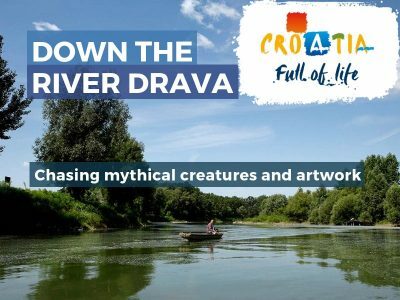 ––>> Fun Quiz: how well do you know indigenous Croatia animals? Oh Fiume…Rijeka that is. My grandad was a customs officer in the late 20’s and early 30’s at the border with then Italian Rijeka and my mother grew up north of there in Sušak, whre he was catching tobacco smugglers. One should read – page 302, M. MacMillan’s “Paris 1919” to see what madness descended on Rijeka in 1919, describing the anarchy: “Men…some had beards, and had shaved their heads completely…others had cultivated huge tufts of hair, half a foot long, waving out of their foreheads, and wore, balanced on the very back of the skull, a black fez…”. WOW! What a film that would make. Thanx Andrea. Beautifully said. I’m from Rijeka, and reading this made my heart so ful. Thank you! Thank you, Katarina 🙂 I really loved Rijeka, even though I stayed a short time!